Have you ventured into the world of vegetable noodles yet? If not then you are missing out on this raw and cooked delight. 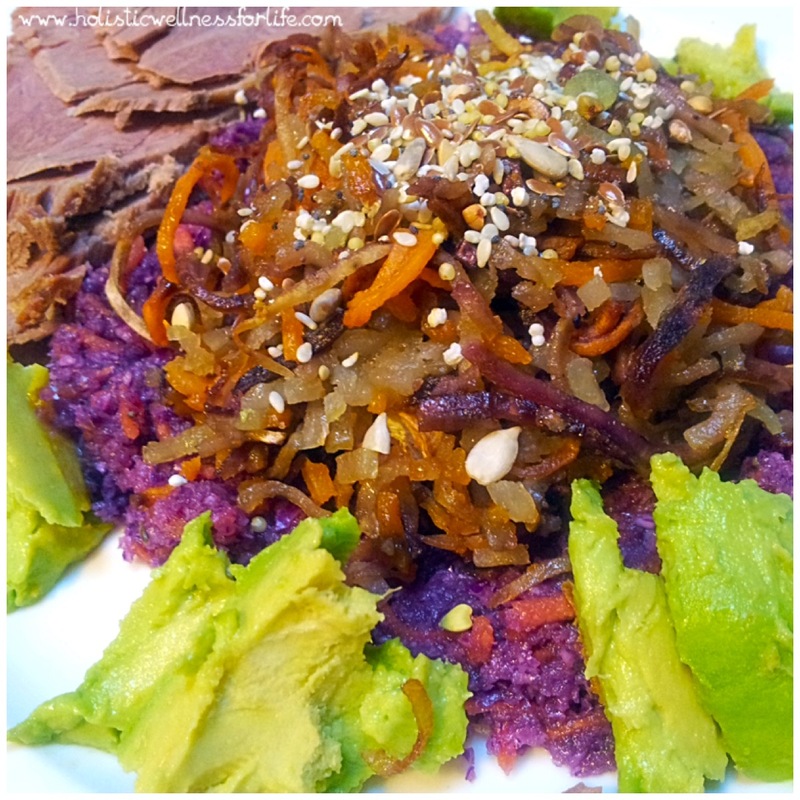 Add texture, flavour and fun to your meals with this Paleo friendly noodle option. 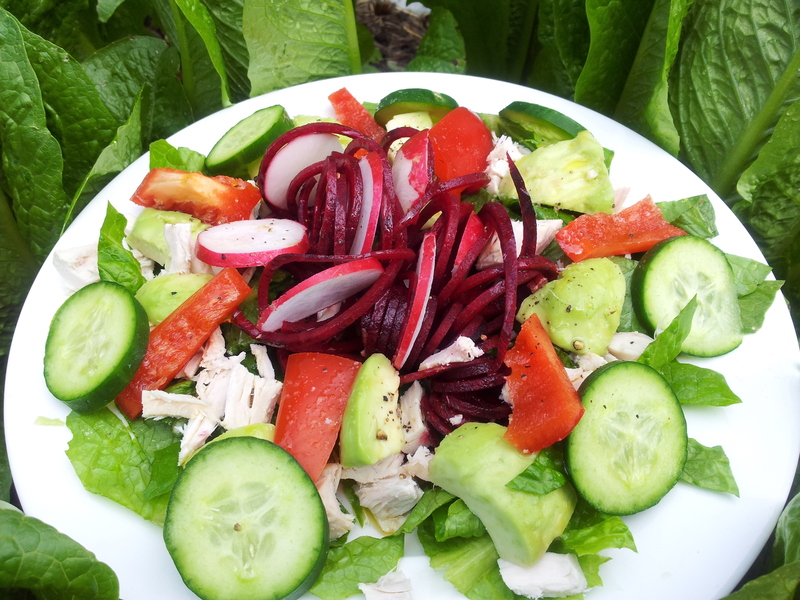 Raw beetroot noodles help give this salad height, colour and texture. The first item you require is a spiralizer which is just a handy kitchen gadget that will turn your vegetables into noodles. They are so much fun to use and can be purchased quite cheaply online or from a Health Food Store. Sweet Potato noodles are my favourite. Lightly pan fry them and add to a stir fry or soup, or bake in the oven and have them super crispy. 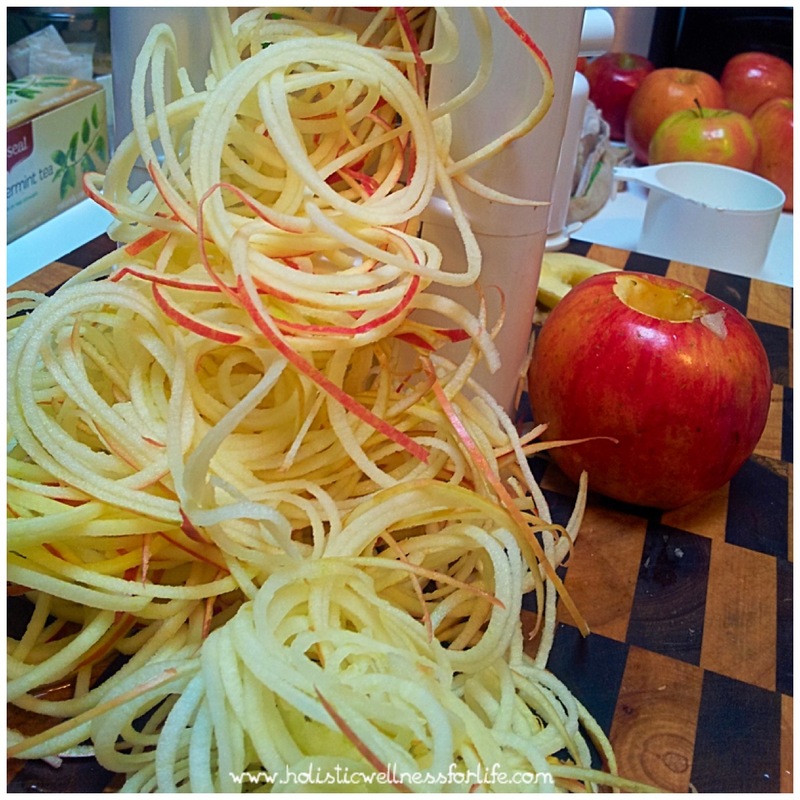 Apple noodles are a favourite of my children’s. 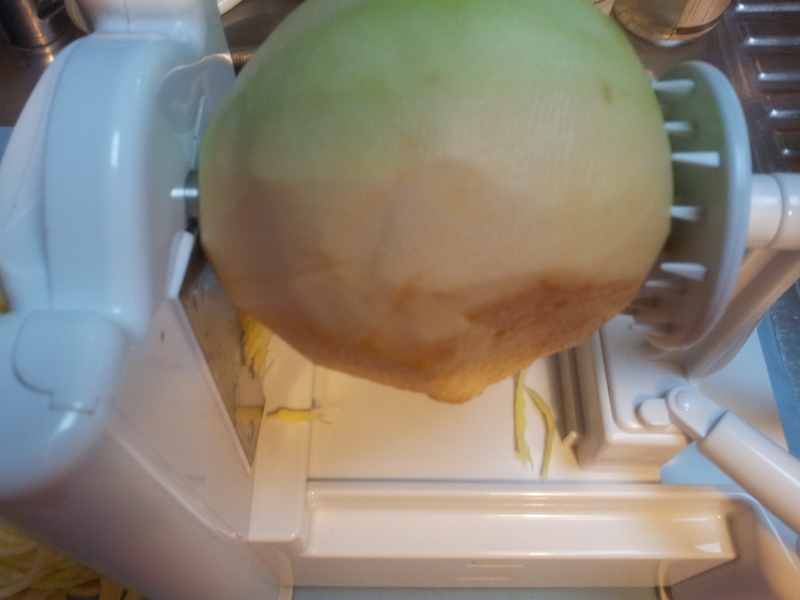 Core the apple and put through the spiralizer. Eat straight away as they are delicious. 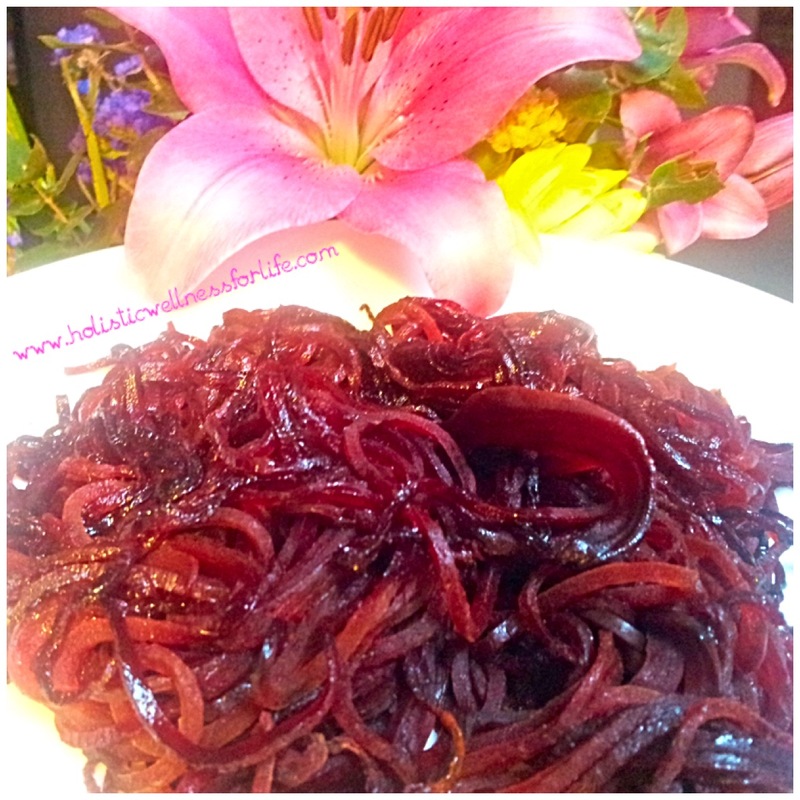 Beetroot noodles which can be baked or eaten raw. Swede noodles in the making. 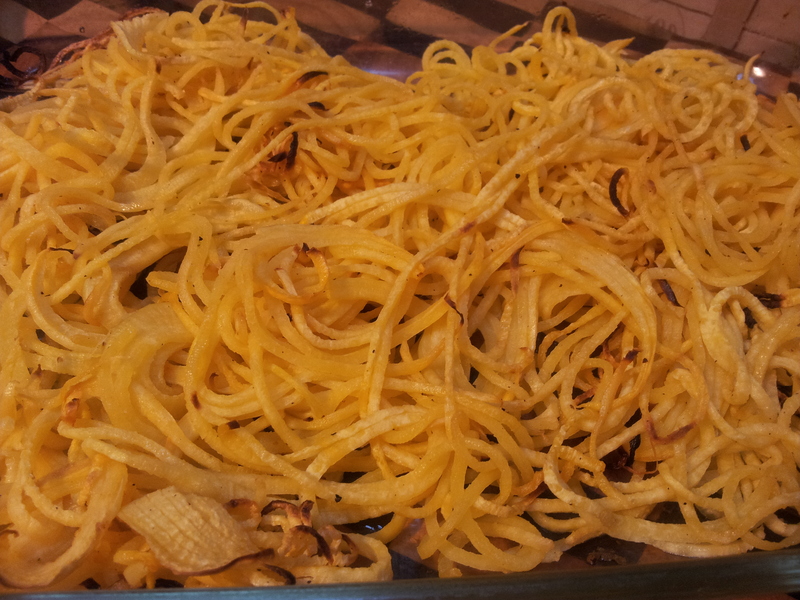 Some noodles can be eaten raw such as apple, beetroot and zucchini while others are better cooked such as sweet potato. Beetroot and sweet potato both baked beautifully and you can also try swede and the other varieties of sweet potato. 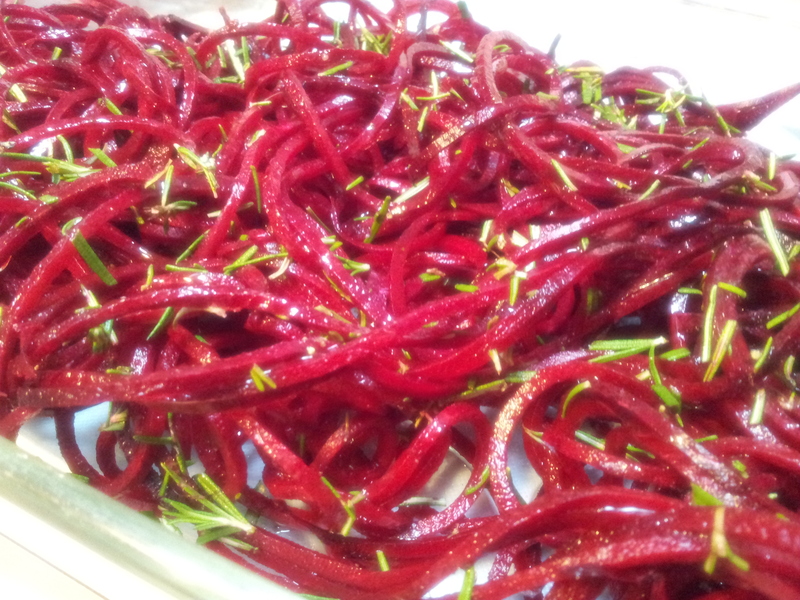 Beetroot noodles ready to be baked with coconut oil and fresh rosemary. 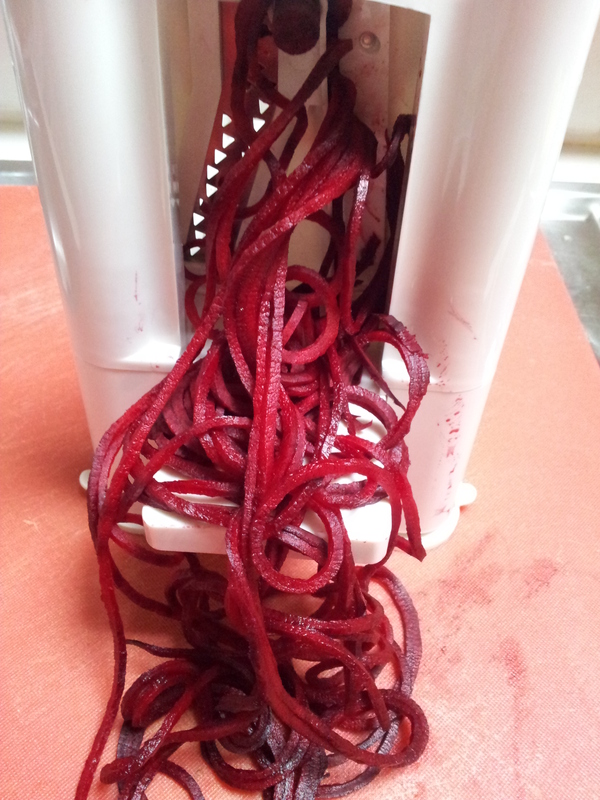 Baked beetroot noodles are so delicious. Bake in a 180 Degree Celsius oven and turn every so often until they are all nicely cooked and a few are crispy. 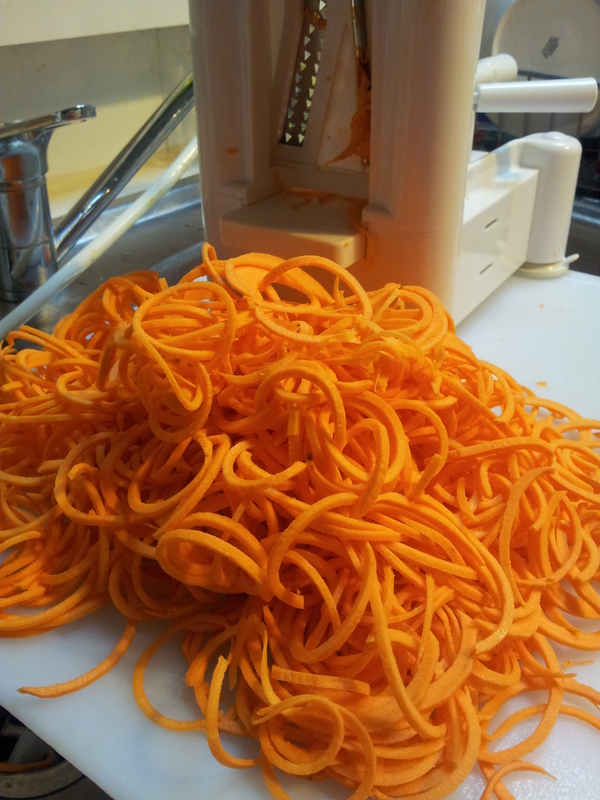 This is a variety of sweet potato and the bits left in the spiralizer get baked as well so there isn’t any wastage. Magnificent meals: Vegetable noodles add such fun to your meals. Add them to your favourite soup. 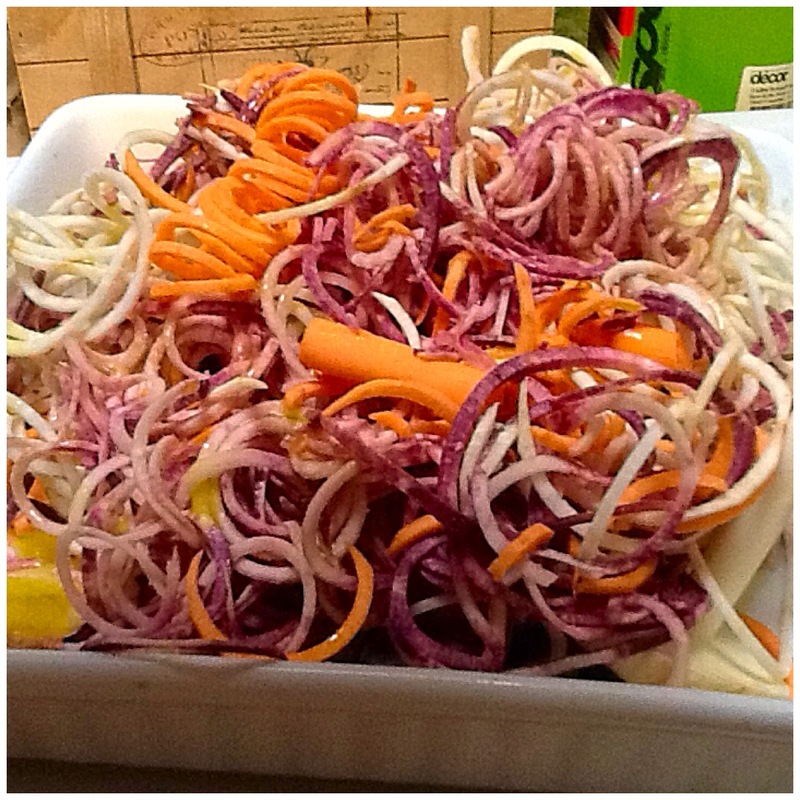 A pile of multi coloured sweet potato noodles. Really sweet from being baked in the oven. 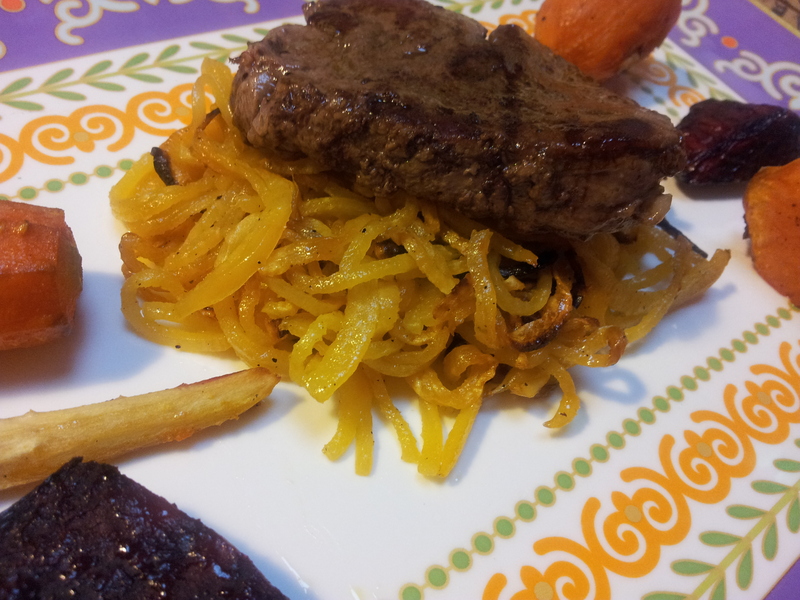 A delicious grass-fed beef steak with swede noodles. 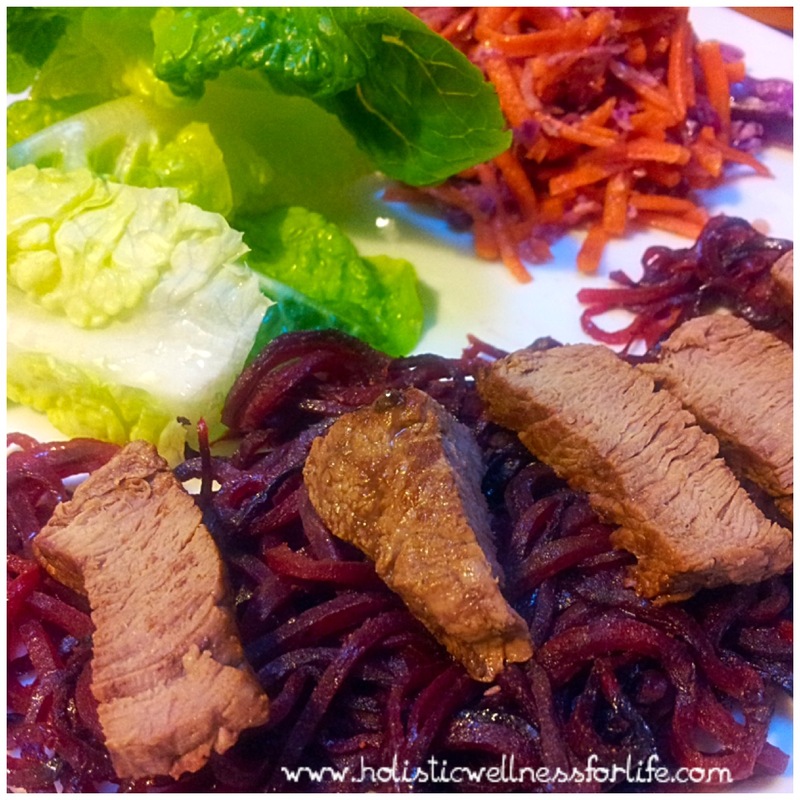 Steak and baked beetroot noodles. 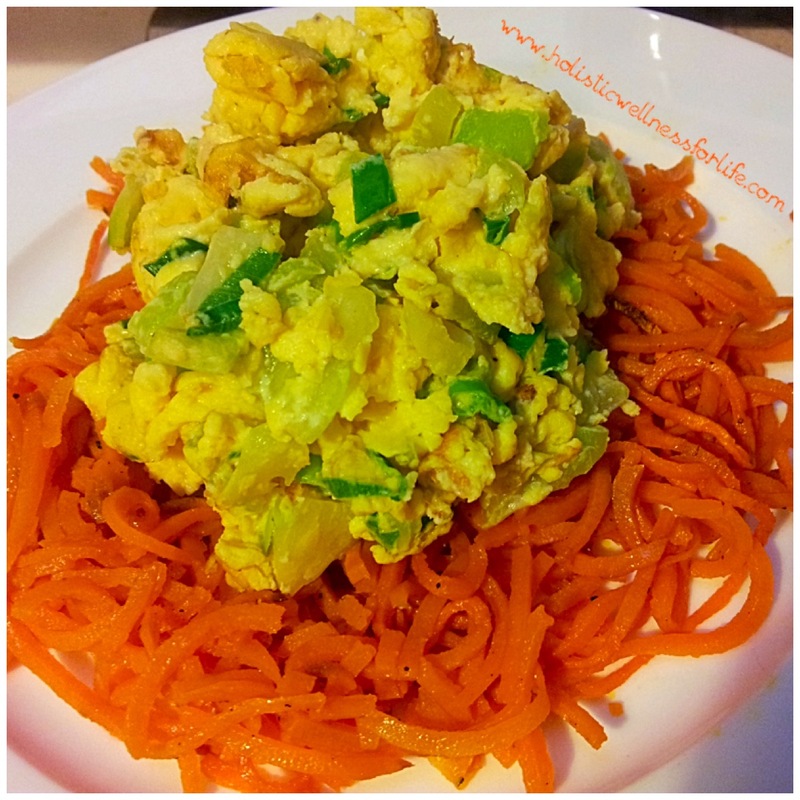 Scrambled eggs with sweet potato noodles. Make it up as you go along. It adds to the fun. You can also make vegetable strips using a vegetable peeler and these can add a fun and decorative element to a meal as well. 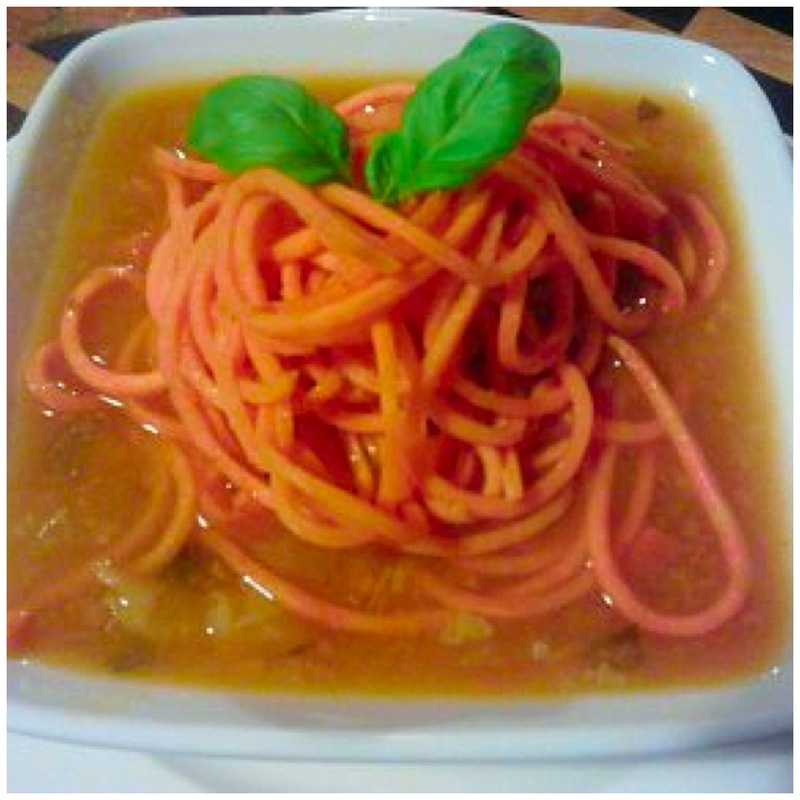 Here l used carrot ribbons to add a pretty element to this meal. Just slide the peeler down the carrot and you are done. I often do this with beetroot and add the strips to a salad. Have some fun with this. It adds a different texture to your meals and can really add some variety to the Paleo diet. If you have enjoyed this post please share it with a friend. 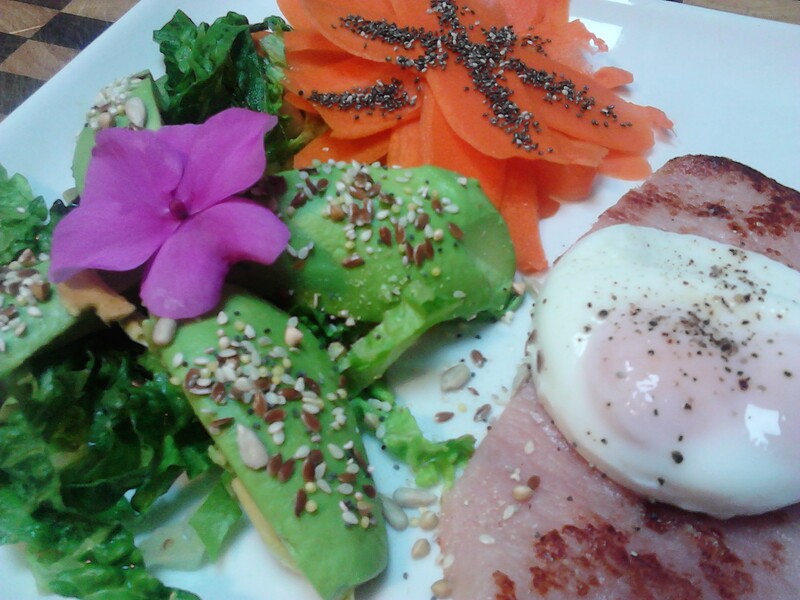 You can follow me daily on Instagram at Holistic_Paleo or on Facebook at Primal Living Melbourne or Holistic Wellness For Life.